Now available at Country Fresh Market! 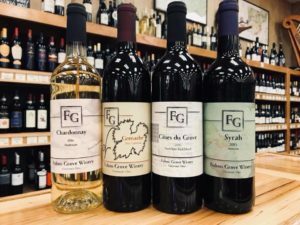 Fulton Grove wines – Syrah, Grenache, Barrel Chardonnay (more to come) are now on the shelves at Country Fresh Farm Market and Wine Depot! 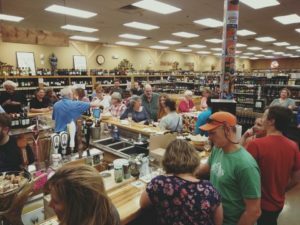 Country Fresh is an amazing local market with great produce, a great deli, a huge inventory of specialty foods, as well as one of the best beer and wine selections in the Cincinnati area. Visit Country Fresh for one of their regular wine and beer tastings or classes at the bar, you won’t be disappointed. If you’re in the area, stop by and ask for some Fulton Grove wines, Cheers!